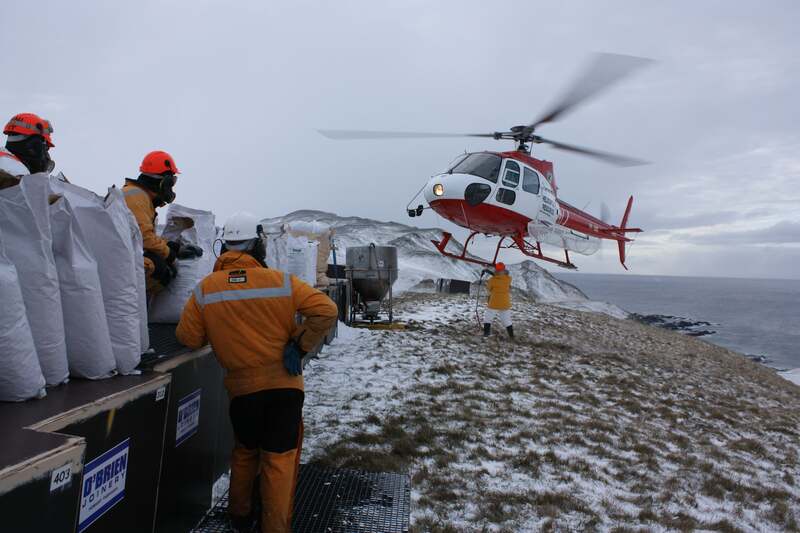 Most people, if tasked with flying a helicopter over a Subantarctic island to complete a multimillion-dollar conservation mission, would be understandably nervous. But not Peter Garden. The responsibility that everyone else would definitely call “a job” is pretty specific: Dropping bait over remote islands infested with invasive rodents that were accidentally imported, often centuries ago, by European whalers and sailors. The baiting technique can effectively eliminate mice and rats that have pushed native and endemic species into decline. But if Garden or his fellow pilots miss even a small sliver of land, some rodents will survive to repopulate the island, and the mission will be a failure. Dozens of governments and environmental groups around the world have hired bait drop teams to clear rodents off islands skirting European, Australian and North American coastlines, as well as some territories in the middle of the ocean. Each effort takes years of planning, but if rodents can be eliminated from these islands—many of which are UNESCO World Heritage sites, home to rare and exceptional ecosystems—it’s worth it. Only a couple pilots have the expertise for this work, including Garden, who has done 27 bait drops since conservationists first attempted the strategy a few decades ago. Over the years, he and his project coordinators have tried to think through every detail of what a project could possibly require, but the squads still find surprises with every new ecosystem they visit. “The appeal of eradication is that you do it once, do it right, and leave the island to its devices, it locks in conservation gains in perpetuity,” said Keith Springer, a freelance pest eradication project manager. 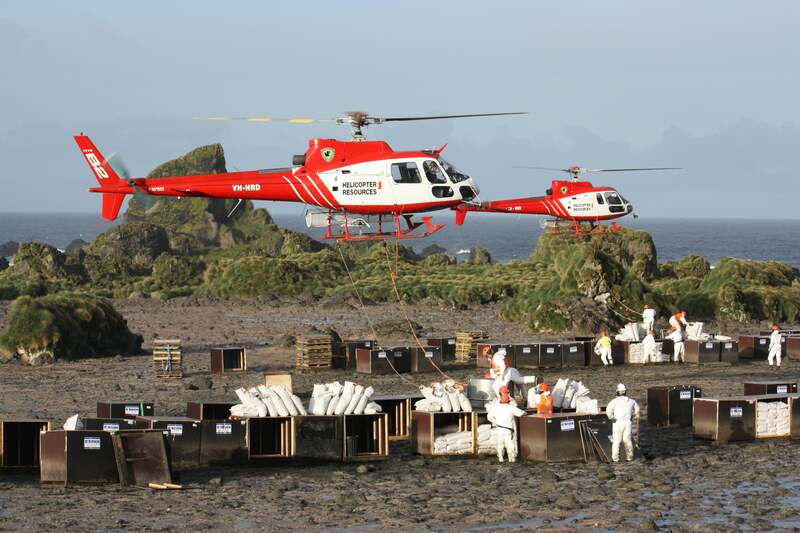 Springer has worked with Garden on several bait drop efforts at the behest of government agencies, like the New Zealand Department of Conservation, and groups like the Royal Society for the Protection of Birds. 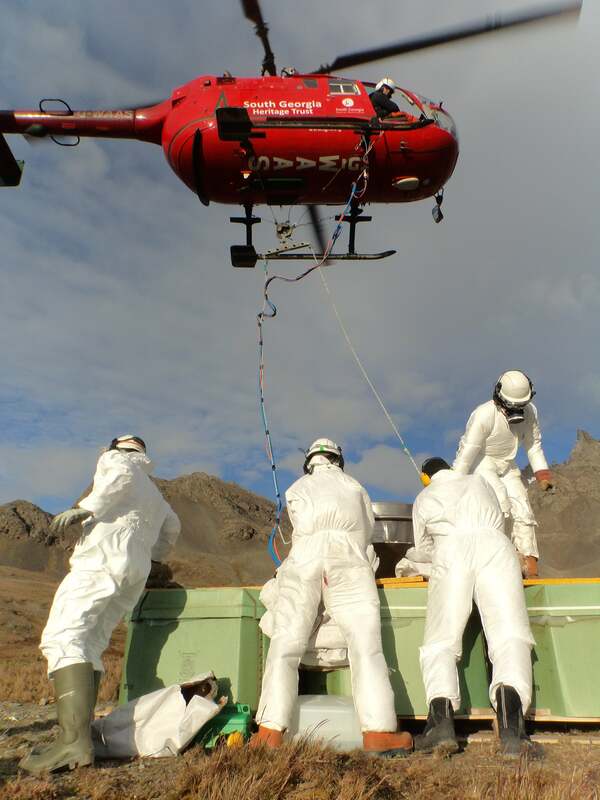 Drops demand a big sum up front—the Antarctic Macquarie Island drop cost £10.5 million, for instance—but steward agencies have spent more than that cobbling together rodent control on islands for decades, according to Springer. If left alone, the mice and rats can chew their way through invertebrate and plant populations. Rodents might even attack live birds. Some of their prey, like the Hawaiian kāmaʻo, have gone extinct, while others, like the Chilean masafuera rayadito, are critically endangered in part because of rats. As soon as a government asks for help, Springer puts out a call for pilots. Garden is likely to respond. The New Zealand native developed his helicopter skills spreading pesticides and fertiliser across his country’s hilly terrain. He’s been flying for conservation since the 1980s, when he helped the New Zealand Wildlife Service rescue the last kākāpō, a species of rare bird, from Stewart Island, the southernmost part of the country. While attempting to relocate the bird, the government realised that all potential havens were overrun with rodents, Garden said. Many of these potential habitats were uninhabited and difficult to navigate by foot to spread bait. But it would soon become possible to eliminate invasive rodents in a different way. In the 1990s, hyper-accurate GPS tracking debuted that could guide pilots on perfect flight lines over otherwise unnavigable territory and guarantee every square meter would be hit by rodent bait. In 1998, Garden used one of these trackers to make Codfish Island, just northwest of Stewart Island, a suitable spot for kākāpō. Because he’s been doing this so long, Garden is extra involved in a mission’s planning. He might, for instance, might meet biologists or park rangers on an island months before a bait drop to test the impacts on native wildlife. If non-target species like gulls can handle some deaths from accidental bait consumption, those losses might be worth it for the sake of the overall goal, Springer said. But if the island houses species that can’t sustain casualties—like the endemic woodhens and currawong crows on the soon-to-be-baited Lord Howe Island east of Australia—conservationists guide the animals into enclosures until all the bait has disappeared. Other concerns arise on Antarctic islands, like Macquarie, which has king penguins. Roaring aircrafts can make the birds stampede and trample one another, so pilots on those missions practise fly-overs ahead of time to find a height that animals will tolerate. After these trials comes the main event. A dozen or two support staff, from engineers to IT specialists to bait bucket loaders, might be on an island to make a drop successful, but once Garden takes off, he’s in charge of everything. A lever switch in his cockpit opens a gate in the bait pail swinging below. Keeping the helicopter at a consistent speed and height—typically, around 55 miles per hour and 150 feet off the ground—Garden regularly sticks his head out to make sure the pellets are falling. If that’s not enough multitasking, he also watches for birds. The albatross and giant petrels soaring over, say, Gough Island in the South Atlantic don’t dodge helicopters, and if a pilot strikes one of these massive birds, the damage can decommission the aircraft, according to Springer. The other mission threat is the weather. Winds can easily whip over 100 miles per hour on islands above 40 degrees latitude, causing bait to scatter unpredictably or breaking off helicopter rotor blades. 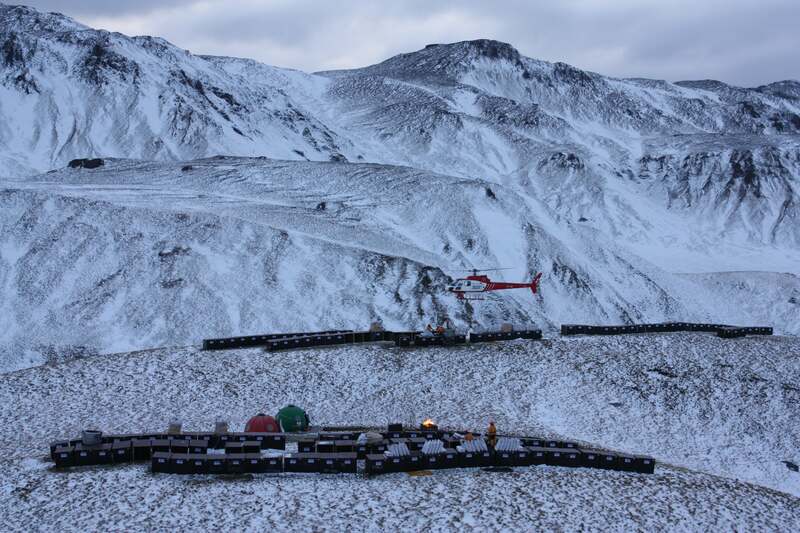 Crews often spend weeks waiting out bad weather, and Garden will sometimes sleep overnight in his helicopter if tents can’t provide enough shelter. If everything goes exactly to plan—and sometimes it does—the crew doesn’t know how to react, Garden said. These drops require anywhere from three years to a decade of planning, with staff spending months away from their families to pull it off. And then in a matter of weeks, it’s done. “Everyone stands there and looks at each other, saying, ‘what’s next?’” Garden said. The answer is, they wait. If a project fails, it can take two years for any remaining rodents to repopulate. If none are found at that point, the mission is considered a success. The next phase, ecosystem recovery, is what Garden loves most. Though he rarely returns to the islands he’s helped restore, he and the crew keep up with the surprising shifts biologists observe. Following a campaign to remove invasive mammals, including rats, from Campbell Island, the New Zealand territory started sprouting megaherbs, oversized, leafy plants with brightly-coloured flowers that have been described as “the equivalent of jungles in the sub-Antarctic”. On Palmyra Atoll, all the mosquitoes disappeared after a bait drop in 2011—it seems the bloodsuckers were only on the Pacific outcrop for the rodents. Garden’s most recent drop on Desecheo Island, Puerto Rico in 2016 helped the island start regaining its role as a seabird nesting spot. “Things like that you can’t quantify when you start a project,” Garden said. That said, he and his fellow older pilots are looking for replacements, people who don’t need to rack up hours in the cockpit. “These are jobs that suit semi-retired pilots, who have time, experience, and don’t have anything to prove,” Garden continued. So if another pilot out there finds themselves in that particular career phase, now’s the time to give Garden a call. Leslie Nemo is a freelance environmental reporter based in New York.